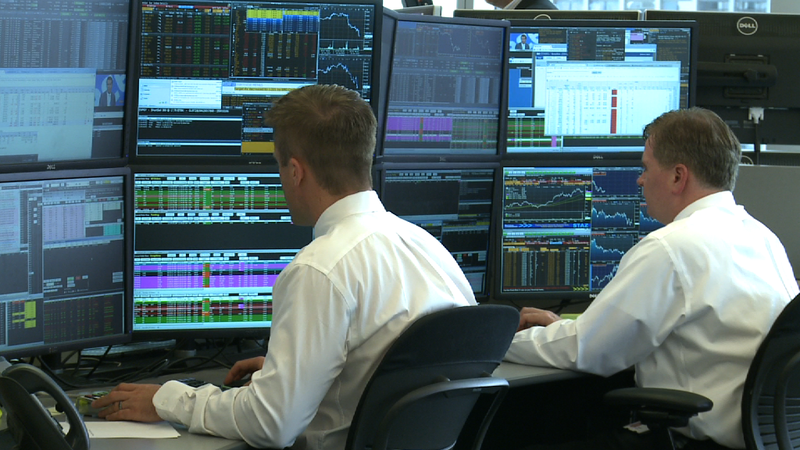 Quant trader Elie Galam at the Panorama Partners' New York City office. He is not a Wolf of Wall Street. When you think about the typical Wall Street trader, you probably picture a fast-talking Wolf of Wall Street type. But guess what? They are rapidly being replaced by "quants" -- soft-spoken super nerds armed with high-tech software to help them beat the market. Elie Galam is one of them. Every day, the 30-year old runs 35,000 different trading strategies through software he designed to find a handful of trading ideas with a high statistical probability of making him money. "It's like seismic imaging," said the Parisian-born Galam, comparing his investing approach to the process used to find pockets of oil. "I want to have a high degree of confidence that when I drill, I'm going to find oil." So how did a Harvard math Ph.D dropout end up working on Wall Street? Not your basic multiplication tables: From an early age, Galam was obsessed with math. After high school, he studied at the École Centrale Paris, a prestigious French engineering university. After that, came Harvard, where he enrolled in an applied mathematics doctoral program. Galam jokes that life at Harvard was like Matt Damon's character in the film Good Will Hunting. In one class, he built a computer algorithm that successfully identified the writer of an article based on programmed characteristics such as style and voice. It was the kind of work that would lay the foundation for his career in finance. 'The Street' was calling: Soon enough, Wall Street recruiters began knocking on Galam's door. Money, prestige and the chance to work on cutting edge quantitative finance systems all appealed to him. So he cut his Ph.D program short after one year and settled for a master's degree instead. 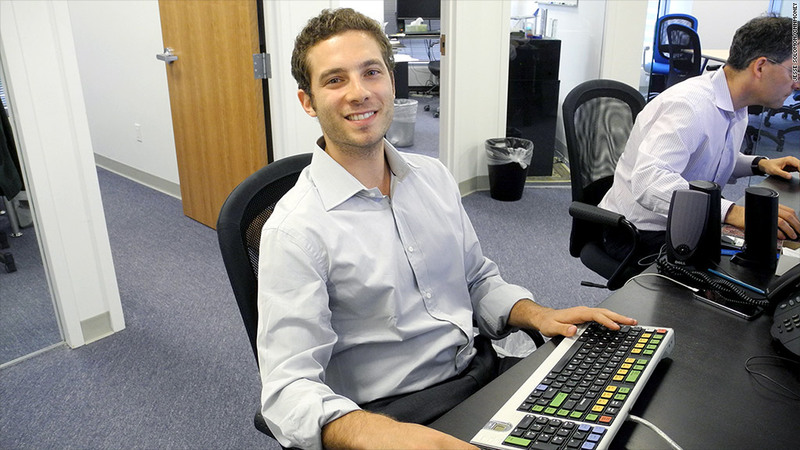 At the age of 22, he accepted a job at Blue Mountain Capital, a credit trading hedge fund in New York. When he got there, he surprisingly felt right at home. "The firm had a lot of smart people, it wasn't a stereotypical Wolf of Wall Street firm," Galam said. "I wasn't the only quant guy there." It's all about the data: After a few years, his entrepreneurial spirit kicked in, and Galam went into business with James Greenberg, a veteran Wall Street dealmaker. The duo went on to launch Panorama Partners in late 2011. At the core of their strategy: a quantitative software program built from scratch by Galam that uses historical data and analysis to predict price movements in various assets. "We get as much data as we can, we shock it, test it, do back tests, historical analysis," Galam explains. "That's where I come in, where the science comes in." But Greenberg insists that Galam isn't your average Wall Street quant, and that he possesses the rare combination of computer skills along with raw trading instinct. "He has a rigid approach to math but he also has creativity," Greenberg says. Quant invasion: Galam is constantly looking to grow his firm, and to do that he needs more quants that think like him. Potential hires don't need to know much about finance, but they should be top notch when it comes to applied mathematics. Complex brain teasers are standard interview questions. Galam's employees often come from Russia, China, and his native France. He keeps in close contact with his old math professors in Paris, and calls them frequently to ask about promising talent in the classroom. "Who's the best guy? I want him," is what he tells them.